Sixty lawmakers, two from each legislative district, comprise the House of Representatives. The chamber has been under GOP control since the mid-1960s. The partisan divide is currently 35 Republicans and 25 Democrats. The job pays $24,000 a year, plus mileage and per-diem during session. Do you support the teacher pay-raise plan passed by the Legislature and signed by Gov. Doug Ducey? Why or why not? State funding for Arizona schools remains below pre-recession levels. How should the state address funding for its schools in next year’s budget? How would you pay for any increases? Does Arizona do enough to require accountability and transparency for charter schools? Would you support stricter gun laws, including raising the minimum age to 21 for all gun purchases, banning bump stocks and universal background checks on gun sales between private parties? What should Arizona do to prevent mass shootings in schools? As a legislator, would you be inclined to support additional tax cuts for individuals or businesses? If so, which taxes would you like to see reduced? Should recreational marijuana use be legalized in Arizona? Why or why not? Has Arizona taken the right approach by increasing restrictions on abortion providers and clinics? Why or why not? What should Arizona be doing to prepare for a potential water-shortage declaration on the Colorado River? Would you support a statewide law that bans discrimination against lesbian, gay, bisexual and transgender people in public accommodations, such as restaurants and other businesses? Why or why not? Would you support a statewide law to allow business owners and others to deny services to customers based on religious beliefs? Why or why not? In terms of the economy, how can the Legislature best encourage sustainable growth that benefits people of all income levels? Do you support further expanding the Empowerment Scholarship Account program, which provides state funding for private-school education? What is your position on Proposition 305, the ballot measure that would repeal the Legislature’s 2017 expansion of the voucher program? What role should Arizona play in helping the federal government secure the border with Mexico? Has the Legislature done enough to address concerns about sexual harassment among its membership? Is there an issue not mentioned about that you feel hasn’t received enough attention at the Capitol? How would you address it? What is the greatest threat to Arizona’s future, and how would you address it? Last spring, lawmakers – at the direction of the governor’s office – opted to not authorize the state’s expenditure of $56 million in federal aid for child-care costs for the working poor. Should the state accept the $56 million? Why or why not? Family members who take in their relative’s children when the kids are removed from their parents’ home get a sliver of the money paid to foster parents, about $45 a month, compared to $650. What responsibility, if any, does the state have to these family members? Should they be paid the same as foster parents? Family Kristie (Spouse); Daniel (Son); Brittian (Son); Trey (Son); John (Son) Sarha Beth (Daughter). Work history United State Army: 1995-2016 Department of Defense: 2016-2017 Busniess Owner: 2016- Present W.B Inclusion and Diversity Consulting Firm INC. I am the best candidate because we can do better. The voters deserve outstanding leadership and I will provide the legislative leadership our district needs. I am not afraid of hard work or to be held accountable by the voters. I understand what accurate representation of the people means. I will represent the entire district, not just the area in which I live. I know what selfless service is, and most importantly I know and understand the many issues in my district. I've spoken to law enforcement professionals, and I know their needs for funding and retention. I've hosted teacher town hall meetings, and I see the need for increased pay raises for our educators. I've met with EMS and firefighters and understand their issues concerning training dollars. I speak to 100 people a day across the district, I am ready to do the job on day one and I am ready to hit the ground running to be an effective State Representative for Legislative District 6. The governor’s teacher pay proposal is a good step forward. I feel this would propel Arizona closer to meeting our shared goals of being at the national median for teacher pay by 2022, As I consider his plan, I believe we still need a long-term funding solution that supports the entire education continuum and ensures safe learning environments and access to 21st century resources for educators and students across the state. However, I believe Governor Ducey was vague about where the cash would come from, only saying a growing economy and lower spending in other areas unexpectedly freed up $274 million this year. As recently as Tuesday, he said he was sticking with his plan to give teachers just a 1 percent rise in the coming year. We need further transparency in how the state will generate these additional funds. We need to work on the basics first then I believe we can straighten out the funding mess. Our current educational funding formula is 35 years old and needs to be updated. Arizona funding system is based on two straightforward ideas. First, some kids have more significant needs, and it costs more to educate them. Second, some cities and towns have less local wealth to provide an education for their children, and the state has a responsibility to ensure there are no less educated dollars for that. No, we need to do a better job at this. Furthermore, the Arizona teaching credentialing standards should apply to charter school teachers as they do to state public school teachers. Additionally, I believe there is a conflict of interest with legislators who own charter schools and set on educational committees that regulate charter school laws and funding. I think the voters have a right to know who has a vested interest in passing specific state laws concerning charter schools. No, its a violates of the constitution. If the United States can ask an 18-year-old to fight for this county, then we shouldn't ask that same 18 years old to give up their 2nd Amendment rights to buy a weapon when they turn 18 years old. Education is the key. Bump stops do not kill, the person behind the gun is responsible for the killing. Hire armed guards and additional RSO's. Invite veterans with formal firearms training and cleared backgrounds to work near children to volunteer to act as armed guards in the schools. And put metal doctors in the schools. Yes, too many in our country are shut out of the dynamism of the US economy, which has led to the justifiable feeling that the system is rigged against hardworking Americans," the nine-page tax plan reads. With significant and meaningful tax reform and relief, which will create a fairer system that levels the playing field and extends economic opportunities to American workers, small businesses, and middle-income families. No, because of my personal beliefs. It is morally wrong and sets a terrible example for our childer, and I will not support any bill proposal make recreational marijuana legal in Arizona. We need to do better; Abortion is nothing less than murder. I will double down on this issue and fight and put a stop to the legalized killing of children. We need stricter regulations placed on abortion clinics. As Americans, we are better than this and I will fight for those children so that they can be born. While Arizona’s water managers disagree on solutions to conserve the state’s water supply, none are equivocating about the problem. With drought a chronic condition and a never-ending demand for water, the Colorado River seems to face an epic low point continually. This year, with Lake Mead hovering just 13-feet above the 1,075-feet trigger level and threatening the reality of a substantial and disruptive water shortage, the Bureau of Reclamation thankfully just gave us a reprieve. In Arizona, we need a census projections to show that this is about 1.3 billion gallons of water, which is roughly the amount required to serve 100,000 people in a year. We need oversight to conserved water that is designated as “system water” to help keep Lake Mead from falling below 1,075 feet. Let me be very clear! I do not personally approve, condone or support lesbian, gay, bisexual and transgender behaviors or lifestyles. Additionally, I would not support any law that would discrimination someone because of their personal choice. A violation of a person's civil rights is a violation of all Americans civil rights and is against the Consitution of the United States. I would follow the letter of the law, and I would not recommend someone's civil rights being violated nor would I support any law that requires me to do so. Yes, I Would you support a statewide law to allow business owners and others to deny services to customers based on religious beliefs. A person has the right to worship how they please. However, their choice does not make it mandatory for me as a private business owner to grant that same person services. The State Legislature and the Executive branch have reseponsiblity to create jobs and improve economic growth in Arizona. We need to look for ways to bring jobs to Arizona to grow our economy. Additionally, for this work, and income to increase, people need to make sure they are technical proficiency prepared to work and succeed in these new jobs by going back to school and or improving their skills to earn higher pay. The Empowerment Scholarship Account program currently allows only certain students to apply for the program, including special-needs students and those from poor-performing schools. The program gives parents public money and enables them to spend it on private school tuition, educational materials, and therapies. Proposition 301 should be open to children of active duty military children living in Arizona. The Arizona National Guard should provide air support, reconnaissance support, operational support, construction of border infrastructure, and logistical support. No, any member having been found guilty of this inappropriate behavior after due process and an investigation conducted by an outside source should be expelled from the body of the senate or house. Furthermore, it should be required that members take annual training and refresher training in the prevention of Sexual harassment and assault. This training should be mandated from top to bottom starting from the Governers office, members of the Senate and House, staff, and interns. In 2016, there were 769 opioid-related overdose deaths­­­ in Arizona—a rate of 11.4 deaths per 100,000 persons, compared to the national rate of 13.3 deaths per 100,000 persons. From 2013 to 2016, the number of heroin-related deaths increased from 102 to 299 deaths and were the primary driver of the rising opioid overdose death rate. In the same period, deaths related to synthetic opioids risen from 36 to 123 deaths. Though Doug Ducey, declared a formal emergency health declaration on opioids in 2018, we need to do more with prevention and education to fight this issue. The decreasing levels of groundwater and surface water is a threat to Arizona further. Arizona’s state water plans need improvement, which purports to account for water resources and estimates how many years of supply remain. Arizona’s top water official acknowledged this. Lawmakers need to rewrite the law to workable means with realist measures, and goals that align with Arizona’s water officials plan to conserve our water sources. This plan does not address the most important demand that was made during the Red for Ed movement – the need Arizona schools have for more funding. It does not provide funding for school supplies, it does not address classroom size and it does not offer more funding for classroom assistants and non-registered teacher aids. Even the bulk of the proposal, which suggests it will give a 20 percent pay increase for teachers, is illusory and not constructed to meet the needs of teachers into the future. Where the funding will come from is not explicitly stated, and how that funding will be effected if we enter another recession is not explained. We need a better plan that will permanently address the issue of funding for our public school system if we are going to claim that we are trying to find real solutions for a very real problem. It is clear that we need to find a better and permanent source of funding. In addition to finding sources of inefficient spending in our budget we also have to expect the wealthiest to do their share, since we live in a state that currently pays teachers less than any other state in the nation. If we look at historical tax rates it is clear that the wealthiest in our society are not contributing what they use to, and the expectation for the most well-off to pay their share in fixing this education crisis is not an unreasonable in one in my opinion. It simply does not. Our state simply does not hold private charter schools to the same standard as other schools. If we look at public charter schools, for instance the ones in my district such as Northland Preparatory Academy and the Flagstaff Arts and Leadership Academy, it is clear that charter schools can be run with proper and excelling standards. The fact that private charter schools want to receive state funding while not being held to the same standards is clearly unfair and irresponsible. After this nation has suffered from tragedy after tragedy it is clear that we must find common sense solutions to ending gun violence, and this includes raising the minimum age to 21, banning bump stocks and having a universal background check system for all private sales. When I was serving as a MedEvac helicopter pilot in Afghanistan, I saw first hand the damage the guns can reap. We need to have stronger mental health counseling and we need to look at restrictions for military-style assault weapons and high-capacity magazines. Our state is already in a bind politically, and the way to encourage more businesses to come to Arizona is not to provide additional tax incentives, of which there are already many, but rather to have a workforce of educated individuals and that cannot happen if we continue to underfund our public education system. Marijuana prohibition has created a system where non-violent offenders are locked up alongside violent offenders, leading to high incarceration rates and additional financial burdens on the state. It is time that we stop locking up those whose only crime is possession of marijuana so we can allow our police officers to focus on more serious, violent crimes, a solution that would only make our communities safer. Absolutely not. These additional restrictions not only limit a woman's right to choose but eliminate access to essential medical services for women. The choice to have an abortion is one that should be made between a woman and her doctor, it is not the responsibility or right of the state to make those decisions for us. I believe we first encourage communities and businesses to adopt responsible water conservation practices and we should implement a water offset program. These programs provide incentive for users to consume less water and has been proven effective in communities like the Verde Valley where it is supported by businesses and conservationists alike. Yes I would. The notion that in this day and age we have a government that does not protect the LGBT community is egregious. We must work to create a state that is safe for everybody and where nobody is discriminated against because of who they are or who they love. No I would not. I do not believe one's beliefs permits them to discriminate against others. That would be a precedent that would allow for the discrimination of practically anyone based on religious beliefs, and that is not a precedent we want to set in a free and Democratic society. I believe the legislature can encourage growth and sustainability by maintaining the minimum wage and sick leave standards passed by voters in 2016 with prop 206. Also, creating programs that make trade schools and college affordable, along with a public option for healthcare. Lastly, attracting high-quality jobs with competitive wages to Arizona. A well educated and healthy Arizona leads to a sustainable economy. I do not. The Empowerment Scholarship Account program started for a very important reason, to provide those children with special needs a chance to find a school that best serves their specific requirements as a student. As it stands, the program is neither designed or prepared for an influx of students and the program was never intended to be an outlet from which the state is able to funnel money out of public education and put it into the hands of those running schools whose accountability in regards to standards and practices is lacking. I am against it. I believe state tax dollars should not go to private charter schools that do not hold the same standards as the rest of our educational institutions. They should work with the Federal government to ensure both that our border is secure but also to make sure that all those who are taken into custody are treated humanely. We should, as a state, object the separation of families at facilities within our borders and ensure that refugees are given proper protection when they seek asylum. I also believe cities should take it upon themselves to offer refuge for immigrants and demand that no segment of the population is targeted based on what they look like. While cases of members having been found guilty of sexual harassment have been handled with appropriate diligence, I do not believe the legislature condones an atmosphere that is welcome to women and encourages them to come forward with allegations. I fear the push to resume uranium mining at the Grand Canyon. It is not only our state's greatest natural wonder but it is home to the Native people of Arizona who rely on its water to sustain themselves and their crops. I believe we must place a full and permanent moratorium on uranium mining in the Grand Canyon starting now. Arizona has to place it's faith in its children, and what future can our children have if we do not provide them with the resources they need to succeed? Our teachers are the lowest paid in the nation, and that fact should be an embarrassment. I've had the opportunity to work with at-risk youth in helping them acquire their GED's so they could enlist in our Armed Forces. Think about that for a second - these men and women had the determination and strength of character to risk their lives to protect our nation but we as a state did not have what it took to ensure that they could graduate high school. The current state of our education system is our greatest threat, and a lack of funding its poison. We must immediately provide not only a clear and permanent raise for teacher pay to attract and retain top talent but we must ensure that all of our schools, no matter what neighborhood they reside in, have the funding and resources they require to give our children a fighting chance. Yes I support the Republican proposed and passed increase, because education is important, and it is the largest increase to education funding in our state's history where not a single House Democrat voted in favor of it, and it brings us back to the highest point in education funding since the great recession. By 2021, with almost $1.5 billion in new dollars, I do not believe that education will not be below pre-recession levels. Education funding primarily comes from property taxes, and considering that Arizona only has about 17 percent of our land in private ownership, it would truly help fund education if the federal government paid its fair share of property taxes on the 65 percent of Arizona land that it controls, or if it divested itself of its huge land ownership within Arizona, as it already did within the eastern states. Yes, and I am proud of our charter schools like Basis, where 5 of their Arizona schools were rated in the top ten high schools across the nation. No, because there is no evidence that these suggestions would make Arizona citizens safer while unconstitutionally restricting their 2nd amendment rights. Our schools need to be hardened and as secure as going to a D-Backs or Cardinals game, and teachers and administrators at a minimum need to carry non-lethal Tasers, and it would be best to have trained armed security personnel at our schools in order to protect our students. AZ needs to be competitive with other low-tax states, such as Texas and Florida, so that we can attract job creators, new workers and grow our economy. In opposition to the punitive, liberal Obama-era efforts of the RedforEd activists, instead of increasing repressive state income taxes, I want to end them. No, because smoking cigarettes or marijuana causes respiratory disease, and smoking marijuana puts 6 times more tar into an individual's lungs and causes cognitive development issues in young people. Yes, our laws are not overly burdensome and have been upheld by the courts. Our already enacted civil rights laws provide protections against discrimination. A state-wide law is unnecessary due to recent federal court rulings. To encourage sustainable growth the state needs to keep taxes low with a minimum of regulations on our businesses. Empowerment Scholarship Accounts (ESAs) provide only the state portion of a student's tuition and are available to families to seek out the best educational options for their students, and are not only used for private school education. Out of over one million K-12 students in Arizona, an extremely low number of less than 5,100 used ESAs in the 2017-2018 school year. With less than 5,100 students who used ESAs in 2017-2018 school year out of over one million Arizona students, Proposition 305 is a mean-spirited attempt to further public school monopolies, while denying families their option of educational free choices. Arizona must ensure that our state and federal laws are enforced, and that our elected officials and law enforcement officials are complying with federal immigration laws and with federal officials. Yes, a return to the days of journalistic excellence and integrity. 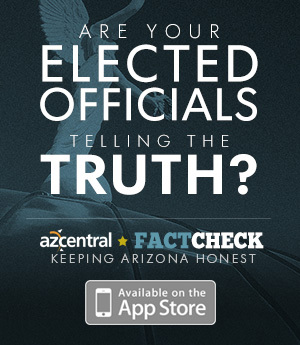 In reading the politically liberal leaning found in many of the questions contained within this Arizona Republic candidate survey, it would truly benefit the citizens of our state if they could rely upon a politically neutral, unbiased press and news media that reserved it's personal opinions for its editorial pages. I do not believe that there is any one 'greatest threat', however Arizona needs to continue growing its economy, keep taxes low, improve free choice in quality education, ensure safe neighborhoods and roads, and ensure reliable low-cost electricity without the enactment of a voter referendum paid for by an uber-rich Californian who is trying to increase his personal wealth by imposing solar energy mandates upon Arizona that will increase our citizen's utility costs while reducing the reliability of our power grid. I have lead my community of Holbrook with integrity, and even when I have faced pressure from my efforts to root out corruption, malfeasance and financial impropriety, I have stayed the course for the sake of the people. That is my motto, for the people. I believe we can do a lot better here in northern Arizona than the current folks we have working for themselves and against the interests of the people. Whether you are a Republican or a Democrat, most people send their kids to public schools, yet our current legislators defund public schools because it is in their best personal interest to do so. That's not me. I work for people, to make their lives better, to give them better schools, better healthcare, better jobs, a better future. That is the job of our leaders, to work in service of the people and to sacrifice their time and energy in the hope that they can improve the lives of everyone. That is not the current representation we have. My parents use to say if you can't pay for it don't break it, and that is what our schools are right now -- broken. Broken from years of poor funding, from not paying non-instructional staff well-enough, from not providing for classroom supplies. The governor's plan does nothing to address any of that, not a single thing. Even the problem which he claims it addresses, the shameful underpaying of our teachers, is not properly prepared for because it doesn't alot a sure source of funding for any of the pay increases it promises, which means the second our state suffers financially as it has under the Republican leadership all that funding disappears. It is a plan with no backbone, it is hollow and it is not close to enough to fix the rut that we're in. First of all, find the money. We apparently have enough money to pay for our legislator's healthcare in Phoenix and we can as a state apparently waste $83 million cutting auditors from the Department of Revenue but we cannot find the money to fund our schools? I don't buy it. We have to find where the waste is and we have to make sure that we aren't letting millionaires live big off of tax breaks while working class families send their children to overcrowded and underfunded public schools. Make the super-rich pay a reasonable amount like the rest of us, I don't see how that's not the first line in the budget plan for every politician that claims to be working for middle class and working class families in Arizona. Private charter schools do two things really well: take money away from public schools and hide their curriculum and standards from the public. Their is next to zero accountability for private charter schools in Arizona and we shouldn't sit by while a system with no culpability attempts to coopt and replace the institutions where we send our children. It ain't right and I have trouble believing that anyone truly wants to have a system with no standards be responsible for educating the next generation of Arizonans. I support any legislation designed to make our communities safer, and that includes every measure mentioned above. When our children are afraid to go to school from fear of being shot in their classrooms, something is wrong with our society, we can't take that, and the people have made it clear that we won't. We need basic common sense reform, and we need it yesterday. First, better funding for mental health. Second, stronger restrictions on military-style firearms. Third, resource officers who are prepared and trained in deescalation techniques. I'd like to see economic incentives for businesses that focus on sustainability, particularly renewable energy companies and companies that work to conserve water and resources. I think if we can bring renewable energy to northern Arizona we'll have better jobs and more money to help grow our communities. It should and it should be taxed heavily so we can use it to support our essential services. No, it is terrible what Arizona has done in restricting a woman's right to choose. The right to choose is a woman's choice and I don't want to think that such a personal decision should be in the hands of legislators rather than between a woman and her doctor. Besides, so many clinics provide so many essential services beyond abortion, and when people go after these clinics they take away access to facilities that can provide important tests and care for women. I think we should promote greater water conservation across the state. We saw what happened in California and we're not far from that ourselves. We need to work with communities and businesses to lower water consumption, bring in businesses that focus on conservation and establish a program that rewards businesses that consume less. Yes, this is America and we shouldn't be discriminating against our LGBTQ brothers and sisters simply because they love someone else or experience life differently than we do. That's not what this country was founded on and we should make sure our fellow Americans are not suffering the undue effects of discrimination. People can devise a lot of reasons to discriminate against people based on a lot of different factors, none of them are righteous. No matter your God you must admit that the point of religion is not to damn our fellow man for the sake of false sanctity, it is to embrace all of Gods children with the better angels of our nature. Codifying into law the right to discriminate serves no one but those who hold hate in their hearts and they are not those we should be looking to serve. First, we need better funding for trade schools and programs that train and educate the people. Second, we need a living wage in Arizona that makes sure no one is working and living in poverty. Third, we need better jobs for the people and that means bringing in employers who present real possibility and opportunities for our communities, like the renewable energy sector. The ESA had such a good purpose, it was meant to give options to our children with special needs, and now we have people wanting to turn it into a funnel from which we can poor public school money into private schools. No, I don't support that expansion. We should make sure the border is properly protected from external threats, but these refugees coming for aid are not the threats we are looking for. Arizona should first focus on making sure there is humane treatment for everyone who passes through our border. If there are still people being harassed than it has not. We need to give a podium from which victims of sexual abuse and sexual harassment can speak and point to those who have caused them to suffer and hold them responsible. Until every man and woman takes the words of the victims' seriously and ensures that those causing harm are culpable then our job is not done. I'd like for there to be more of a focus on bringing good jobs to rural Arizona. There are a lot of things holding our communities in the north from attracting better employers, including not enough access to education, poor broadband access and preferential treatment for certain companies like those in the non-renewable energy sector. We need to do everything in our power to make sure that our children are clamoring over each other to compete for dwindling jobs that offer no future. Whether in Flagstaff, Holbrook or small towns like Young and Snowflake, everyone wants a better future for themselves and their kids, and that starts with access to better paying jobs. Right now it is our lack of respect for education, how we treat our teachers and how poorly we fund our schools. I would find funding for our schools, provide pay raises for our teachers that are backed by an actual source of funding and focus on initiatives that promote not just K-12 education, but early childhood education, post-secondary education and trade schools. Every single person in Arizona would be better off if they had that, and that is what I would bring to Arizona, and I would do it for the people. As the mayor of a small town, I have seen the sort of harm that can come if child services remain underfunded. There are families waiting for that support, in need of that support, and we as citizens cannot allow their needs to remain unaddressed. We need to have that money to address these needs, these families cannot afford to wait any longer. These family members should receive the same assistance as any other foster family.